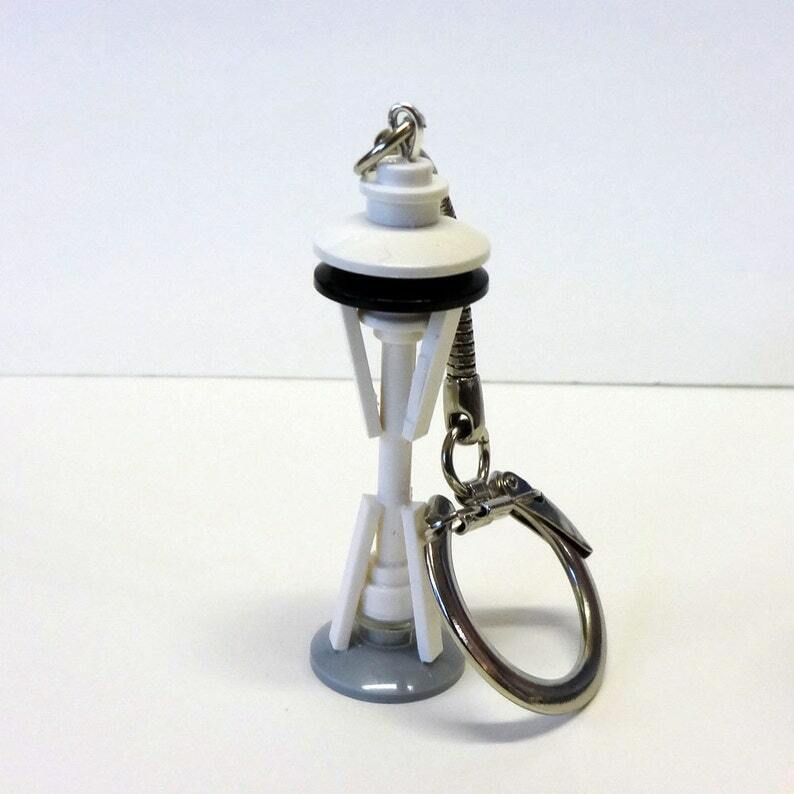 Standing at only 2 inches tall this tiny Space Needle key chain made from LEGO® elements is just the thing for any fan of Seattle, architecture, or LEGO bricks. Just a little over 2 inches tall and completely adorable, travel with the Space Needle everywhere on your keys, backpack or purse. Absolutely adorable. Just what I wanted. Thanks.